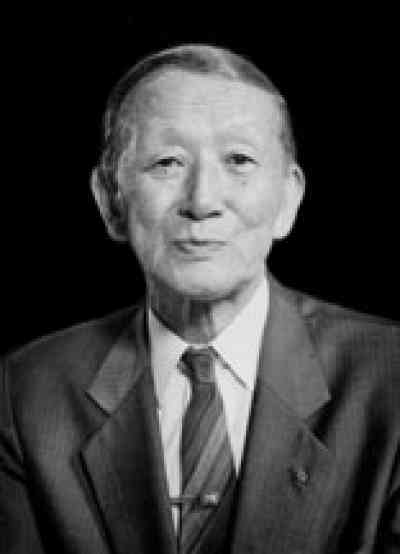 Shinichi Suzuki, the man who developed the Suzuki Method, was born on October 17, 1898, in Nagoya, Japan. He was one of twelve children and his father owned a violin factory. Shinichi and his brothers and sisters played near the factory and saw instruments being made, but the children never realized what beautiful sounds could come from a violin. When he was seventeen, Shinichi heard a recording of Schubert’s Ave Maria, played by a famous violinist named Mischa Elman. He was amazed that a violin could make such a beautiful tone because he had thought it was just a toy! Nurtured by Love is an intimate video journey through the life of one of the world’s most influential music educators, Dr. Shinichi Suzuki. His story is an inspirational celebration of the life and potential within all of us. The American Suzuki Institute at the University of Wisconsin-Stevens Point has put together an online video archive of Dr. Suzuki’s lectures and classes there in 1976. These videos are invaluable both historically and pedagogically, and are freely available to the public. After this, Shinichi brought a violin home from the factory and taught himself to play. He would listen to a recording and try to imitate what he heard. A few years later he took violin lessons from a teacher in Tokyo. Then, when he was 22 years old, he went to Germany and studied with a famous teacher named Karl Klingler. Shinichi also met his wife Waltraud in Germany. They married and moved back to Japan, where he began to teach violin and play string quartet concerts with his brothers. Shinichi had always loved children and became very interested in teaching them. He thought that children could learn music just as they learned to speak—starting when they were very young and hearing music all around them. He believed that all children have the talent to learn if they are taught well by loving parents and teachers. These were very unusual ideas at that time. If children did play an instrument, they started learning when they were ten or eleven. Also, most people thought that musical talent was a special thing that only a few people had. Dr. Suzuki’s young students learned to play very well and everyone was amazed when they performed. No one had ever seen so many young children playing music so beautifully. At first people thought all the students were musical geniuses. They did not understand Suzuki’s idea that all children can learn if they are taught in the right way. For many years Dr. Suzuki continued to work on his teaching method. He chose music that would help children learn to play. He even wrote some pieces himself (like the Twinkle Variations, Allegro, Perpetual Motion, and Etude). Teachers from many countries came to Japan to learn about his method of teaching, and Dr. Suzuki and his students traveled to play in other countries. Over the years, more and more teachers and parents became interested in Suzuki’s ideas and began to teach children with his method. Now there are thousands of children around the world who have learned to play instruments through the Suzuki Method. Through his teaching, Dr. Suzuki showed teachers and parents everywhere what children could do. He also believed that hearing and playing great music helped children become good people with beautiful, peaceful hearts. Dr. Suzuki hoped that these children would help bring peace and understanding to the world. Dr. Suzuki died on January 26, 1998, at his home in Matsumoto, Japan. Though he lived to be 99 years old, Dr. Suzuki always seemed young. He was full of energy, and was cheerful and loving to everyone he met. Dr. Suzuki would be very happy to know that Suzuki children all over the world are learning to play music beautifully and to become kind, peaceful human beings. On his next anniversary of his birthday, October 17, please think of him, thanking him for his gifts to children and giving him your beautiful tone and heart in return. Starr, William and Constance. To Learn with Love. Miami, FL: Summy-Birchard, Inc, 1983. Page 104.